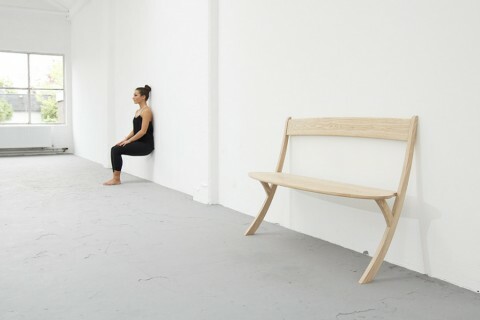 This Leaning Wooden Bench by Studio Izabela Boloz made me look. Always fond of everyday objects that playfully challenge gravity. cool bench! I want to try it out! Watch the website video. Beautiful way to demo the product!